Planning in advance gives you the opportunity to select what is best for your family’s needs while keeping costs manageable. All of our pre-funding methods are 100% guaranteed; not only by us, but also by the companies we use to hold the funds. Pre-arranging your final wishes takes about an hour and costs you nothing; we maintain a permanent file in our facility and provide copies for you and your family. Pre-funding is the next step, which assures there are funds available for services, which have been chosen. Both options will no doubt afford you and your family peace of mind in knowing everything is taken care of without the added stress of the loss of a loved one.  Arrangements can be done in our facility or in the comfort of your own home at your convenience. If you are interested in Our Advance Planning Service, please fill out our pre-planning form. You may do this online or print it out and mail or fax it to us.